Cowdenbeath: Hay, Brett, Armstrong, Adamson, Linton (Robertson 58), McKenzie, Winter, Cameron (Stewart 75), Sibanda (Fairbairn 58), Dempster, Ramsay. Subs Not Used: Roy, O'Brien. Attendance - 672. Cowdenbeath: Hay, Baxter, Winter, Armstrong, Adamson, McKenzie, Ramsay (Sibanda 76), Cameron, Linton, Dempster (Stewart 89), Fairbairn. Cowdenbeath: Hay, Baxter, Adamson, Armstrong (Mbu 46), Linton, Ramsay, Winter, O'Brien (Sibanda 75), McKenzie, Cameron, Dempster (Stewart 78). Cowdenbeath: Hay, Baxter, Armstrong (O'Brien 74), Adamson, Linton, Winter, Ramsay, Cameron, McKenzie (Ferguson 25), Fairbairn, Dempster (Stewart 90).Subs Not Used: Roy, Brett. Booked: Winter. Attendance - 1154. Cowdenbeath: Hay, Robertson, Winter, Armstrong, Vauls (Ramsay 54), Campbell, Cameron, Adamson, Makel (Coult 70), Dempster (Stewart 75), Crawford. Subs Not Used: Roy, Linton. Booked: Winter, Cameron. Attendance - 2192. Cowdenbeath: Hay, Armstrong, Winter, Mbu (Robertson 78), Adamson, Miller, Makel, Ramsay, Campbell, Stewart (Coult 84), Crawford. Cowdenbeath: Hay, Armstrong, Mbu, Winter, Adamson, Ramsay, Cameron, Miller (Coult 46), Crawford (McKenzie 64), Campbell, Stewart (Linton 57). Cowdenbeath: Hay, Baxter, Winter, Adamson, Vauls (Crawford 76), Robertson, Ramsay, Makel (Miller 66), Linton, Stewart, Campbell (McKenzie 12). Subs Not Used: Roy, O'Brien. Attendance - 359. Cowdenbeath: Hay, Baxter, Ramsay, Winter, Adamson, McKenzie (Coult 66), Robertson, O'Brien, Linton, Campbell, Crawford. Subs Not Used: Roy, Makel, Vauls, Miller. Attendance- 2104. Cowdenbeath: Roy, Coult, Armstrong, Crawford, Linton, O'Brien, Ramsay, Robertson, Makel, Miller (McKenzie 78), Stewart. Subs Not Used: Hay, Byren, Ferguson, Milne. Booked: Linton. Attendance - 415. 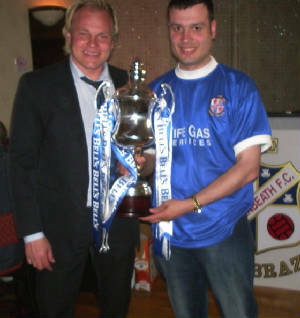 Sat Jul 25 - Peterhead 1 Cowdenbeath 2 (McBride, McQuade) MG Alba Cup first round. Cowdenbeath: Hay, Baxter, Robertson, Mbu, Linton, Fairbairn (Bower 8), Bradley, Dempster, Stein (McBride 68), Wardlaw (McCabe 55), McQuade. Subs not used: Tomana, Ferguson. Red card - Hay. Attendance - 375. Cowdenbeath: Hay, Baxter (Linton 46), Mbu, Droudge, Adamson, Fairbairn (McBride 78), Robertson, Stein, McQuade, Dempster (Ferguson 68), Wardlaw. Subs not used: Tomana, Bower. Attendance - 457. Cowdenbeath: Vaiculis, Baxter, Mbu, Droudge, Adamson, Winter, Fairbairn (McQuade 75), Robertson, Stein, Dempster (Tomana 85), Wardlaw. Subs not used - Bower, McBride, Linton. Yellow card - Stein. Attendance - 365. Cowdenbeath: Hay, Shields (McCabe 76), Droudge, Mbu, Adamson, Fairbairn (Ramsay 83), Robertson, Winter, Stein, Wardlaw, McQuade (McBride 80). Subs not used: Linton, McKay. Attendance - 401. Cowdenbeath: Hay, Shields, Winter, Droudge, Adamson, Fairbairn (Ramsay 76), Mbu, McBride, Stein (Linton 85), Wardlaw (Ferguson 49), Robertson. Subs not used: McCabe, McKay. Attendance - 647. Cowdenbeath: Hay, Shields (Ramsay 59), Droudge, Mbu, Adamson, Fairbairn, Winter (Linton 89), Robertson, Stein, McBride (McQuade 73), Wardlaw. Subs not used: Ferguson, McKay. Yellow card - Wardlaw, Stein. Attendance - 451. Cowdenbeath: Hay, Armstrong, Linton, Winter, Droudge, Mbu, Fairbairn (Ramsay 85), McBride (Ferguson 76), Wardlaw (McQuade 67), Robertson, Stein. Subs not used: McCabe, McKay. Yellow cards: Robertson, Droudge. Attendance - 539. Cowdenbeath: Hay, Droudge, Armstrong, Mbu, Linton, Fairbairn (McBride 75), Winter, Robertson, Ramsay, Wardlaw (Adamson 84), McQuade. Subs not used: Baxter, Brett, McKay. Yellow card - McQuade. Attendance - 733. Cowdenbeath: Hay, Droudge, Armstrong, Mbu, Linton, Adamson (Stein 77), Winter, Robertson, Ramsay (Fairbairn 70), Wardlaw, McQuade (McBride 88). Subs not used: Baxter, Bower. Yellow cards - Winter, Wardlaw. Attendance - 389. Cowdenbeath: Hay, Armstrong, Linton, Winter, Droudge, Mbu, Fairbairn (Ramsay 64), McBride (Stein 77), Wardlaw (Ferguson 23), Robertson, Adamson. Subs not used: Reid, Bower. Yellow cards -Adamson, Robertson. Attendance - 682. Cowdenbeath: Hay, Droudge, Armstrong, Mbu, Adamson, Ramsay, Winter (Ferguson 71), Robertson, Stein (Linton 68), Wardlaw, McBride (Fairbairn 71). Subs not used: Baxter, Bower. Yellow card - Adamson. Attendance - 377. Cowdenbeath: Hay, Armstrong, Baxter, Mbu (Droudge 25), Linton, Fairbairn, McQuade (Ferguson 77), Winter, McBride (Ramsay 63), Wardlaw, Robertson. Subs not used: Bower, Stein. Yellow card - Winter. Attendance - 834. Cowdenbeath: Hay, Armstrong, Droudge, Mbu, Linton, Ramsay (Baxter 90), McGregor, Winter, Stein, McQuade (Dempster 83), Wardlaw (Fairbairn 75). Subs Not Used: Bower, Robertson. Yellow card - Wardlaw, Winter. Attendance - 246. Cowdenbeath: Hay, Armstrong, McGregor, Droudge (Dempster 59), Linton, Ramsay, Mbu (Baxter 24), McQuade (Fairbairn 46), Stein, Wardlaw, Winter. Subs Not Used: Bower, McBride. Yellow card: Armstrong. Attendance - 649. Cowdenbeath: Hay, Droudge, Armstrong, Mbu, Adamson (Stein 64), Ramsay (Dempster 46), Robertson, McGregor, Linton, Wardlaw, McQuade (Fairbairn 80). Cowdenbeath: Hay, Droudge, Armstrong, Mbu, Linton, Fairbairn (Dempster 77), Winter (Baxter 68), McGregor, Stein, Wardlaw, McQuade (McBride 62). Cowdenbeath: Hay, Armstrong, McGregor, Mbu, Adamson, McBride, Baxter, McQuade, Winter, Stein, Wardlaw. Subs Not Used: Bower, Fairbairn, Linton, Dempster, Ramsay. Cowdenbeath: Hay, Armstrong, Mbu, McGregor, Adamson, Fairbairn (Ramsay 76), Winter (Mackay 90), Robertson, McBride, Dempster (Stein 86), Wardlaw. ubs Not Used: Bower, McQuade. Yellow cards - McGregor, McBride. Attendance - 438. Cowdenbeath: Hay, Armstrong, Mbu, McGregor, Adamson, Fairbairn (Dempster 69), Winter (Baxter 90), Robertson, McBride (Stein 61), McQuade, Wardlaw. Subs Not Used: Bower, Mackay. Yellow card - Wardlaw. Attendance - 435. Cowdenbeath: Hay, Armstrong, Mbu, McGregor, Linton, Ramsay (Winter 79), Baxter, Robertson, McBride (Stein 78), Wardlaw, McQuade (Dempster 67). Subs Not Used: Bower, Fairbairn Attendance - 391. Cowdenbeath: Hay, Armstrong, McGregor, Mbu, Linton, Baxter, Ramsay, Robertson, McBride (Dempster 88), Wardlaw (Stein 68), McQuade. Subs Not Used: Bower, Fairbairn, Adamson. Yellow card - Baxter, Wardlaw. Attendance - 1084. Cowdenbeath: Hay, Armstrong, McGregor, Brett, Linton, Fairbairn (Ramsay 83), Robertson, Adamson, Stein, Dempster, McBride (Wallace 87). Cowdenbeath: Hay, Armstrong, Baxter, Mbu, Adamson, Fairbairn (Dempster 73), Winter, McGregor, McBride, Wardlaw, McQuade (Ramsay 88). Cowdenbeath: Hay, Cennerazzo, Adamson, McGregor, Mbu, Hodge, Fairbairn, Shields, Ramsay (Linton 65), McQuade, Tomana (Gemmell 45) Subs not used: Robertson, Morris, Fleming. Attendance - 596. Cowdenbeath: Hay, Droudge, McGregor, M'bu, Adamson, Fairbairn (Fleming 81), Hodge, Ramsay (Tomana 85), McQuade, Shields (Robertson 88), Gemmell. Subs not used: Linton, Morris. Yellow cards - Ramsay, McGregor, Shields, Gemmell. Attendance - 382. Cowdenbeath: Hay, Cennerazzo, Adamson, Mbu, Hodge, Linton (Ferguson 71), Robertson (McGregor 51), Shields, Fleming, Gemmell, McQuade (Fairbairn 51). Subs not used: Droudge, Morris. Attendance - 204. Cowdenbeath: Hay, Droudge, Adamson, McGregor, Hodge, Fairbairn, Fleming, Shields (Mackay 85), Gemmell, Tomana (Dempster 75), McQuade (Linton 68). Subs not used: Baxter, Morris. Yellow cards - Adamson, Hodge. Attendance - 304. Cowdenbeath: Hay, Baxter (Dempster 77), Adamson, McGregor, McKay, Hodge, Fairbairn (Stein 60), Fleming, Gemmell, Tomana (Ramsay 28), McQuade. Subs not used: Morris, Linton. Booked: Adamson, Gemmell, Fleming. Attendance - 436. Cowdenbeath: Hay, McGregor, Armstrong, Hodge, Baxter, Fleming, Fairbairn, Mackay, Adamson, McQuade (Dempster 70), Ramsay (Linton 76). Subs not used: Shields, Robertson, Gallagher. Red card - Baxter. Attendance - 643. Cowdenbeath: Hay, Ross, Armstrong, Hodge (Shields 67), Fleming, McGregor, Adamson, Tomana, Fairbairn, Gemmell (Dempster 74), Ramsay (Stein 67). Subs not used: MacKay, Gallacher. Attendance - 375. Cowdenbeath: Hay, Baxter, McGregor, M'bu, Ross (Adamson 64), Fairbairn (Ramsay 80), Armstrong, Fleming, McQuade, Gemmell, Tomana (Stein 41). Subs Not Used: Shields, Gallacher. Yellow cards - Ross, Fleming. Attendance - 801. Cowdenbeath: Gallacher, Baxter, Armstrong, Hodge, Fleming, McGregor, Adamson, Tomana, McQuade (Ross 82), Gemmell (Dempster 74), Stein (Fairbairn 79). Subs not used - Hay, Ramsay. Yellow card - Stein. Attendance - 296. Cowdenbeath: Gallacher, Baxter, Armstrong, Hodge (Ross 75), Fleming, Tomana (Fairbairn 78), McGregor, Adamson, McQuade, Gemmell (Dempster 66), Stein. Subs Not Used: Ramsay, Hay. Yellow card - Gemmell. Attendance - 431. 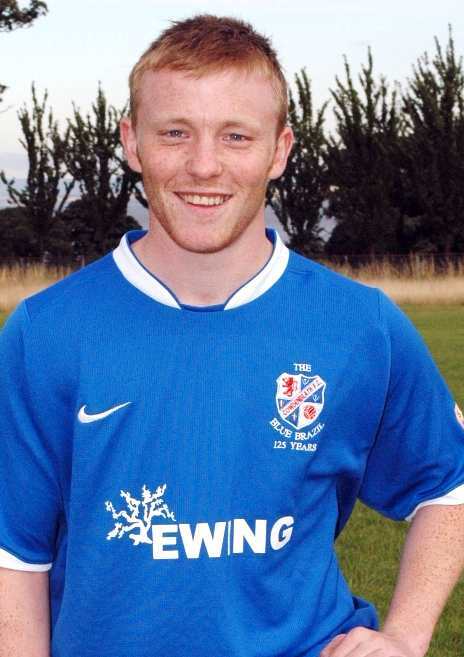 Cowdenbeath: Gallacher, Droudge, Armstrong, Hodge, Fleming, Fairbairn (Stein 80), Tomana, McGregor, McQuade, Gemmell, Dempster. Subs Not Used: Shields, Adamson, Ramsay, Hay. Yellow cards - Gallacher, Tomana. Attendance - 328. Cowdenbeath: Gallacher, Droudge (Ramsay 61), Fleming, McGregor, Armstrong, Hodge, Fairbairn (Adamson 45), Tomana, Dempster, Gemmell, McQuade. Subs not used - Hay, Stein, Linton. Yellow card - Adamson. Attendance - 259. Cowdenbeath: Gallacher, Shields, Armstrong, Hodge (Baxter 30), Fleming, McGregor, Tomana (Gemmell 76), Adamson, Ramsay, Dempster, McQuade. Subs not used: Fairbairn, Stein, Hay. Yellow cards - Shields, Baxter, Fleming, McQuade. Red card - Shields. Attendance - 406. Sat Nov 22 - Berwick Rangers 2 Cowdenbeath 3 (Armstrong, Dempster, McQuade). Cowdenbeath: Hay, Baxter, McGregor, Armstrong, Linton, Ramsay (Shields 46), MacKay, Tomana (Fairbairn 74), Stein (Robertson 85), Dempster, McQuade. Subs not used: Cennerazzo, Gallacher. Yellow cards - Shields, McGregor. Attendance - 334. Cowdenbeath: Hay, Baxter, McGregor, Armstrong, Adamson, Ramsay, MacKay (Fleming 78), Shields, Fairbairn (Tomana 87), Dempster (Brown 70), McQuade. Subs Not Used: Mbu, Jackson. Cowdenbeath: Hay, Baxter, Adamson (Fleming 65), McGregor, Armstrong, MacKay (Tomana 80), Ramsay, Shields, Dempster, McQuade (Fairbairn 19), Brown. Subs Not Used: Mbu, Jackson. Cowdenbeath: Hay, Baxter, McGregor, Armstrong, Fleming, Gemmell (Ramsay 84), Shields, MacKay, Fairbairn (Stein 89), Brown (Tomana 64), Dempster. Subs Not Used: Mbu, Jackson. Cowdenbeath: Hay, Baxter, McGregor, Armstrong, Fleming, Gemmell (Tomana 82), Shields, MacKay, Ramsay, Dempster, Brown (McQuade 60). Subs not used: Mbu, Stein, Jackson. Yellow card - Fleming. Attendance - 326. Cowdenbeath: Hay, Baxter, McGregor, Armstrong, Fleming, Fairbairn, Mackay (Mbu 63), Shields, Gemmell, Dempster, McQuade (Tomana 68). Subs not used: Brown, Ramsay, Jackson. Yellow card - Sheilds. Attendance - 846. Cowdenbeath: Hay, Baxter, Adamson, McGregor, Armstrong, M'bu, Ramsay (Fairbairn 71), Mackay, Dempster, Brown (Stein 78), Gemmell (McQuade 67). Subs not used: Fleming, Jackson. Attendance - 523. Cowdenbeath: Hay, Baxter, Armstrong, Mbu, Adamson, Ramsay, McGregor, Mackay, Fairbairn, Dempster (Gemmell 64), McQuade (Brown 79). Subs not used: Stein, Fleming, Jackson. Yellow card - Ramsay. Red card - Fairbairn. Attendance - 317. Cowdenbeath: Hay, Shields (Stein 34), Adamson, McGregor, Armstrong, Mbu, Ramsay, Mackay, Brown (Tomana 61), McQuade, Gemmell. Subs not used: Jackson, Baxter, Cennerazzo. Yellow cards - Ramsay, Gemmell. Attendance - 629. Cowdenbeath: Hay, McGregor, Armstrong, Mbu, Mackay, Stein, Tomana (Brown 57), Adamson, Fairbairn, Ramsay (Robertson 81), Gemmell (Fleming 87). Subs not used: Shields, Jackson. Attendance - 430. Cowdenbeath : Hay, Baxter, Armstrong, Mbu, Fleming (Linton 34), Ramsay, Shields, MacKay, Stein (Lennon 77), Gemmell, Robertson (Dempster 68). Subs not used: Young, Jackson. Yellow cards - Armstrong, Dempster. Red card - Shields. Attendance - 1181. Cowdenbeath : Hay, Baxter, McGregor, Mbu, Linton, Ramsay, Armstrong, MacKay, Stein, Gemmell (Dempster 82), Robertson (Brown 62). Subs not used: Young, Lennon, Jackson. Attendance - 403. Cowdenbeath : Hay, McGregor, Mbu (Tomana 22), Armstrong, Baxter, Shields (Ramsay 74), Stein, MacKay, Linton, Gemmell, Dempster. Subs Not Used: Brown, Robertson, Jackson. Yellow card - Shields. Attendance - 527. Cowdenbeath: Hay, Reid, Linton, Mbu, Armstrong, Shields (Forbes 60), Ramsay, Robertson, Brown (Callum Young 60), Tomana (Wallace 70), Ferguson. Subs not used: Cennerazzo, Jackson. Attendance - 434. Cowdenbeath: Hay, Baxter, Linton, McGregor, Armstrong, Shields, Ramsay, Mackay (Fleming 53), Gemmell (Dempster 73), Ferguson, Stein. Subs not used: Mbu, McQuade, Jackson. Attendance - 605. Cowdenbeath: Hay, Baxter, Linton, McGregor, Armstrong, Ramsay, Robertson (Tomana 63), Shields, Stein, Gemmell (McQuade 89), Ferguson (Dempster 71). Subs Not Used: Mbu, Jackson. Yellow card - Shields. Attendance - 663. Cowdenbeath: Hay, Baxter, McGregor, Armstrong, Linton, Gemmell, Ramsay, Shields, Stein (Ferguson 67), Dempster, McQuade (Robertson 73). Subs not used: Jackson, Mbu, Tomana. Yellow card - Gemmell. Red card - McGregor. Attendance - 775. Cowdenbeath: Hay, Baxter, M'bu, Robertson, Armstrong, Shields (Fleming 119), Ramsay, McQuade (Tomana 93), Gemmell, Dempster (Ferguson 95), Stein. Subs not used: Jackson, Linton. Yellow cards - Robertson, Armstrong. Attendance - 1530. Cowdenbeath: Hay, Baxter, John Armstrong, David Armstrong, Hill, McBride, O'Neil (Pat Scullion 67), Galloway, Adamson, Clarke (Howat 84), McConalogue (Dalziel 53). Subs Not Used: Anton, Allison. Yellow card - McBride. Red card - McBride. Attendance - 322. Cowdenbeath: Hay, Anton, John Armstrong, Scullion, Adamson, McBride (Bryan 59), O'Neil, Galloway, Clarke, McConalogue (Howat 78), Dalziel. Subs Not Used: Matusik, Lennon, Allison. Yellow card - J Armstrong, Anton, Galloway, Scullion. Red card - Howat. Attendance - 320. Cowdenbeath: Hay, Baxter, Hill, Galloway, John Armstrong, David Armstrong, Bryan (Ondrej Matusik 67), Clarke (McBride 39), Dalziel, Scullion, Adamson. Subs Not Used: Anton, Lennon, Allison. Yellow card - J Armstrong. Attendance - 531. Cowdenbeath: Hay, Baxter, Gilfillan, John Armstrong, Hill, O'Neil, Scullion, Galloway, McBride (Dalziel 75), Clarke, Mackle (Doherty 62). Subs not used: Deasley, McConalogue, Allison. Yellow cards - Galloway, McBride.. Attendance - 614. Cowdenbeath: Hay, Anton, Hill, Gilfillan, Adamson (Mackle 44), McBride, Scullion, Galloway, Clarke, Dalziel, McConalogue (Matusik 73). Subs not used: Doherty Allison, Lynch. Yellow cards: Scullion, Dalziel. Cowdenbeath: Hay, John Armstrong, Hill, Galloway (Adamson 45), Gilfillan, Scullion, O'Neil (Howat 78), Ramsay, Clarke, Dalziel (McConalogue 45), McBride. Subs not used: Anton, Allison. Yellow cards - Hill, McBride, Clarke, Scullion. Attendance - 2357..
Cowdenbeath: Hay, Scullion (Howatt 80), Adamson, Hannah, John Armstrong, Hill, Ramsay, Gilfillan, McConalogue (Dalziel 88), McBride (O'Neil 73), Clarke. Subs Not Used: David Armstrong, Allison. Cowdenbeath: Hay, Scullion (McBride 62), Adamson, Hannah, John Armstrong, Hill, Ramsay, Gilfillan, McConalogue (Dalziel 73), David Armstrong (O'Neil 70), Clarke. Subs not used: Howat, Allison. Attendance - 839. Cowdenbeath: Hay, David Armstrong, Adamson (O'Neil 83), John Armstrong, Hill, Gilfillan, Ramsay, McConalogue, McQuade (Howat 79), Scullion, McBride (Dalziel 66). Subs not used: Anton, Allison. Yellow cards - Scullion, Gilfillan. Attendance - 639. Cowdenbeath: Hay, David Armstrong, John Armstrong, Hill, Adamson, Ramsay, O'Neil, McBride, McQuade, Dempster, Bingham (Manson 79). Subs not used: Robertson, Cennerazzo, Young, Allison. Yellow card - McQuade. Attendance - 432. Cowdenbeath: Hay, Reid, David Armstrong, Adamson, Ramsay, Scullion (Robertson 87), O'Neil, Manson (McBride 60), Dempster, McQuade (Bingham 65), Hill. Subs Not Used: McKay, Allison. Attendance - 475. Cowdenbeath: Hay, Shields, David Armstrong, Gilfillan, Adamson, Ramsay, Scullion, O'Neil (McBride 67), Gates, McQuade (McLaughlin 75), Bingham (Drouge 49). Subs not used: Manson, Morris. Yellow card - Hay. Red card - Gilfillan. Attendance - 244. Cowdenbeath: Hay, David Armstrong, Linton, Gilfillan, Droudge, Robertson, McQuade, Shields, Bingham (McLaughlin 76), Scullion (McBride 71), Gates (Shanks 68). Subs Not Used: Morris, O'Neil.Yellow cards - Shields, McBride. Attendance - 1511. Cowdenbeath: Hay, Shanks, Linton, Droudge, Hill, Shields, Ramsey, O'Neil (Scullion 70), McLaughlin, Bingham (Dempster 52), Gates (Manson 52). Subs Not Used: McQuade, Morris.Yellow card - Droudge. Attendance - 259. Cowdenbeath: Hay, Shanks, Droudge, Hill, Adamson, Ramsay (O'Neil 84), Shields (McBride 65), Scullion, Gates, Dempster, McLaughlin. Subs Not Used: McQuade, Linton, Morris. Yellow card - Hill, Adamson. Attendance - 284. Cowdenbeath: Hay, Shanks, Gilfillan, Hill, Shields (Manson 67), Ramsay, Lennon (O'Neil 76), Robertson, Gates, McLaughlin (McQuade 76), Dempster. Subs Not Used: Baxter, Morris. Yellow card - Shields. Attendance - 317. Cowdenbeath: Hay, Baxter (Shanks 15), Gilfillan, Hill, Adamson, Ramsay, Shields, Tomana (O'Neil 74), Gates, Robertson, Dempster (McLaughlin 74). Subs Not Used: Morris, McQuade. Yellow card - Ramsay. Red card - Shields. Attendance - 1010. Cowdenbeath: Hay, Shanks, Gilfillan (Droudge 87), Hill, Adamson, Ramsay, Robertson, Tomana (O'Neil 68), Dempster (McLaughlin 68), McQuade, Gates. Subs not used: McBride, Allison. Attendance - 259. Cowdenbeath: Hay, Shields, Adamson, Gilfillan (Shanks 57), Hill, Robertson, Ramsay, Tomana (Scullion 66), Dempster (McLaughlin 60), McQuade, Gates. Subs not used: O'Neil, Allison. Yellow card - Tomana, Gilfillan, Adamson. Attendance - 431. Cowdenbeath: Hay, Shields, Gilfillan (Shanks 46), Hill, Adamson, Ramsay (O'Neil 57), Tomana, Scullion, Gates, McLaughlin, McQuade (Dempster 68). Subs not used: Robertson, Allison. Attendance - 272. Cowdenbeath: Hay, Cennerazzo, Adamson, Lynch, Hill, Robertson (O'Neil 27), Tomana (McBride 59), Scullion, McQuade, McLaughlin, Gates (Linton 75). Subs not used: Allison, Shields. Yellow card - McLaughlin. Attendance - 3716. Cowdenbeath: Hay, Shanks, Lynch, Adamson, Linton, Scullion (Ramsay 60), Tomana (McKay 83) O'Neil, McBride, McLaughlin, McQuade (Ferguson 85). Subs Not Used: Cennerazzo, Allison.. Attendance - 380. Cowdenbeath: Hay, Shields, Adamson, Shanks, Hill (Linton 79), O'Neil, Ramsay, Scullion, McLaughlin, McQuade (Gates 56), Tomana. Subs not used: McBride, Robertson, Allison. Yellow card - McQuade. Attendance - 638. Cowdenbeath: Hay, Shields, Shanks, Hill, Adamson, Scullion, O'Neil (McQuade 62), Tomana (Robertson 94), Ramsay, McLaughlin, Gates (Linton 73). Subs not used: McBride, Allison. Yellow cards - Hill, Tomana. Attendance - 778. 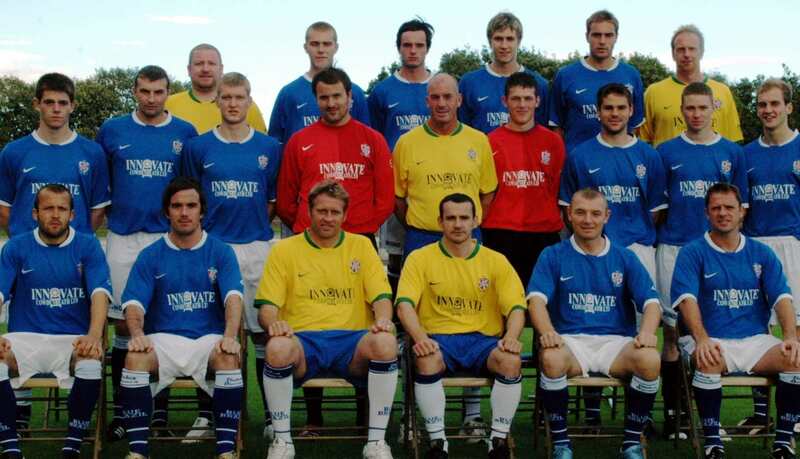 Cowdenbeath FC squad for 2006/07 season is Back row (left to right) Michael Renwick (coach), Gary Smith, Pat Scullion, Gary Fusco, Innes Ritchie, David Hay, Kyle Allison, David Orr, Scott Dalziel, Paul McBride, Dougie Hill, Markus Paatelainen, Chris Hughes, Neil Bryson (physio). Front: Stevie McLeish (coach), Laurie Ellis, Pat Clarke, Martyn Fotheringham, Morgaro Gomis, Mixu Paatelainen (Manager), Liam Buchanan, Mark Baxter, Kevin McBride, Graham Guy, John Martin (coach). Cowden - David Orr, Graham Guy (Martyn Fotheringham 80), Laurie Ellis, Margaro Gomis, Innes Ritchie, Gary Smith, Pat Scullion (Mark Baxter 58), Markus Paatelainen, Scott Dalziel (Paul McBride 71), Pat Clarke, Liam Buchanan. Subs not used - Kyle Allison and Kevin McBride. Yellow cards - Pat Clarke and Laurie Ellis. Red card - Innes Ritchie. Attendance - 717. Cowden - Davie Orr, Mark Baxter, Laurie Ellis, Morgaro Gomis, Innes Ritchie, Gary Smith, Pat Scullion (Graham Guy 75), Markus Paatelainen, Scott Dalziel, Pat Clarke, Liam Buchanan (Chris Hughes 60). Subs not used: Kyle Allison,, Kevin McBride and Martyn Fotheringham. Yellow cards -Dalziel, Clarke, Ellis. Attendance - 1263. Cowden - Davie Orr, Mark Baxter, Laurie Ellis, Morgaro Gomis, Innes Ritchie, Gary Smith, Pat Scullion (Graham Guy 75), Markus Paatelainen, Scott Dalziel, Pat Clarke, Liam Buchanan (Chris Hughes 60). Subs not used: Kyle Allison,, Kevin McBride and Martyn Fotheringham. Yellow cards - Ellis, Ritchie. Attendance - 707. Cowden - Davie Orr, Mark Baxter, Kevin McBride, Morgaro Gomis, Chris Hughes, Gary Smith, Pat Scullion, Markus Paatelainen, Paul McBride (Pat Clarke 45), Martyn Fotheringham (Gary Fusco 45), , Liam Buchanan. Subs not used: Kyle Allison, Graham Guy and Laurie Ellis. Yellow card - Gomis. Attendance - 1530. Cowden - Davie Orr, Mark Baxter, Laurie Ellis, Gary Fusco, Innes Ritchie, Gary Smith, Morgaro Gomis (Graham Guy 80), Markus Paatelainen, Scott Dalziel (Kevin McBride 75), Pat Clarke, Liam Buchanan. Subs not used - Kyle Allison, Martyn Fotheringham and Pat Scullion. Attendance - 2457. Cowden - Davie Orr, Graham Guy (Liam Buchanan 85), Kevin McBride, Mark Baxter, Pat Scullion (Gary Fusco 80), Chris Hughes, Laurie Ellis (Innes Ritchie 65), Morgaro Gomis, Martyn Fotheringham, Markus Paatelainen, Pat Clarke. Subs not used: Kyle Allison and Paul McBride. Yellow cards - Scullion, Fusco, McBride. Attendance - 1775. Cowden - Davie Orr, Mark Baxter, Dougie Hill (Laurie Ellis 80), Gary Fusco, Innes Ritchie, Gary Smith, Martyn Fotheringham, Markus Paatelainen, Scott Dalziel (Chris Hughes 82), Pat Clarke, Liam Buchanan. Subs not used - David Hay, Morgaro Gomis and Paul McBride. Yellow card - Innes Ritchie. Attendance - 453. Cowden - Davie Orr, Mark Baxter, Dougie Hill, Innes Ritchie, Gary Smith, Gary Fusco (Paul McBride 65), Laurie Ellis (Martyn Fotheringham 65), Markus Paatelainen, Scott Dalziel (Morgaro Gomis 35), Pat Clarke, Liam Buchanan. Subs not used - David Hay and Kevin McBride. Attendance - 304. Cowden - Davie Orr (David Hay 45), Mark Baxter, Laurie Ellis, Morgaro Gomis, Innes Ritchie, Gary Smith, Gary Fusco, Markus Paatelainen, Scott Dalziel (Paul McBride 45), Pat Clarke, Liam Buchanan. Subs not used - Dougie Hill, Pat Scullion, Kevin McBride. Yellow card - Gary Fusco. Attendance - 543. Cowden - David Hay, Mark Baxter, Laurie Ellis, Danny Lennon (Martyn Fotheringham 73), Pat Scullion, Dougie Hill, Morgaro Gomis, Gary Fusco (Grant Manzie 83), Markus Paatelainen, Pat Clarke (Graham Guy 90), Liam Buchanan. Subs not used - Kyle Allison and Paul McBride. Yellow card - Pat Clarke. Attendance - 383. Cowden - David Hay (Kyle Allison 20), Mark Baxter, Laurie Ellis, Danny Lennon, Dougie Hill, Morgaro Gomis, Innes Ritchie, David Hannah, Markus Paatelainen, Pat Clarke (Scott Dalzie 72), Liam Buchanan. Subs not used - Gary Fusco, Martyn Fotheringham, Pat Scullion. Attendance - 358. Cowden - David Hay, Mark Baxter (Scott Dalziel 80), Laurie Ellis, Danny Lennon, Dougie Hill, David Hannah, Gary Fusco (Martyn Fotheringham 80), Morgaro Gomis, Liam Buchanan, Pat Clarke, Markus Paatelainen. Subs not used - Kyle Allison, Kevin McBride and Pat Scullion. Attendance - 757. Cowden - David Hay, Mark Baxter, Kevin McBride, Danny Lennon, Dougie Hill, David Hannah, Markus Paatelainen (Steven Husband 88), Pat Scullion, Liam Buchanan (Grant Manzie 88), Pat Clarke (Scott Dalziell 77), Laurie Ellis. Subs not used - Kyle Allison and Gary Fusco. Yellow card - Baxter, McBride, Clarke. Attendance - 418. Cowden - David Hay, Mark Baxter, Danny Lennon (Pat Clarke 80), Innes Ritchie, Dougie Hill, Gary Fusco, David Hannah, Pat Scullion (Martyn Fotheringham 73), Laurie Ellis (Scott Dalziel 73), Liam Buchanan, Markus Paatelainen. Subs not used - Kyle Allison and Kevin McBride. Yellow cards - Hannah, Paatelainen and Ellis. Attendance - 547. Cowden - Davie Hay, Mark Baxter, Dougie Hill, Innes Ritchie, Pat Scullion (Gary Fusco 80), Laurie Ellis, Danny Lennon (Martyn Fotheringham 13), David Hannah, Markus Paatelainen, Liam Buchanan, Steven Weir (Pat Clarke 60), Subs not used - Kyle Allison and Scott Dalziel. Yellow card - Buchanan. Attendance - 2744. Cowden - Davie Hay, Mark Baxter, Innes Ritchie, Dougie Hill, Laurie Ellis, Pat Scullion (Gary Fusco 83), Martyn Fotheringham (Steven Weir 76), David Hannah, Markus Paatelainen, Liam Buchanan, Pat Clarke (Scott Dalziel 90). Subs not used - Kyle Allison and Kevin McBride. Yellow card - Pat Clarke and Steven Weir. Attendance - 675. Cowden - Davie Hay, Mark Baxter, Laurie Ellis (Gary Fusco 23), Danny Lennon (Martyn Fotheringham 73), Innes Ritchie, Dougie Hill, Pat Scullion, David Hannah, Liam Buchanan, Steven Weir, (Scott Dalziel 63), Pat Clarke. Subs not used - Kyle Allison and Murray Davidson. Attendance - 380..
Cowden - Davie Hay, Mark Baxter, Kevin McBride, Danny Lennon, Dougie Hill, David Hannah, Pat Scullion (Robert Fyfe 75), Martyn Fotheringham (Scott Dalziel 70), Liam Buchanan, Pat Clarke, Gary Fusco, Attendance - 594..
Cowden - Davie Hay, Mark Baxter, Kevin McBride (Scott Dalziel 77), Danny Lennon, Dougie Hill, David Hannah, Gary Fusco, Martyn Fotheringham (Steven Weir 27), Liam Buchanan, Pat Clarke, Pat Scullion (Martin McBride 60). Subs not used - Kyle Allison and Robert Fyfe. Red card - Weir. Attendance - 377. Cowden - Davie Hay, Mark Baxter, Laurie Ellis, Gary Fusco, Dougie Hill, David Hannah, Matthew Docherty, Murray Davidson (Pat Scullion 55), Liam Buchanan, Pat Clarke, Martin McBride (Craig Smart 75). Subs not used - Kyle Allison, Robet Fyfe and Scott Dalziel. Yellow cards - Laurie Ellis and Gary Fusco. Attendance - 785. Cowden - Davie Hay, Mark Baxter (Pat Scullion 30), Laurie Ellis, David Hannah, Dougie Hill, Murray Davidson (Scott Dalziel 73), Matthew Docherty, Gary Fusco, Steven Weir, Pat Clarke, Iain Ramsay (Martyn Fotheringham 60) Subs not used: Kyle Allison and Tony Bryan. Yellow cards - Pat Scullion and Gary Fusco. Attendance - 2264. Cowden - Davie Hay, Mark Baxter, Laurie Ellis, David Hannah, Dougie Hill, Gary Fusco, Matthew Docherty (Pat Scullion 65), Martyn Fotheringham, Liam Buchanan, Pat Clarke (Craig Smart 65), Iain Ramsay (Steven Weir 45). Subs not used: Kyle Allison and Murray Davidson. Attendance - 419. Cowden - Kyle Allison, Mark Baxter (Stephen Husband 40), Laurie Ellis, David Hannah, Dougie Hill, Gary Fusco, Matthew Docherty, Murray Davidson, Liam Buchanan, Steven Weir (Grant Manzie 70), Graham Guy (Jamie Reid 66). Subs not used Sam Morris and Robert Fyfe..
Cowden - Davie Hay, Graham Guy, Laurie Ellis, David Hannah, Dougie Hill, Gary Fusco, Matthew Docherty, Murray Davidson (Martyn Fotheringham 65), Liam Buchanan, Pat Scullion, Scott Dalziel (Pat Clarke 75). Subs not used: Kyle Allison, Scott Marshall and Steven Weir Yellow card - Gary Fusco.Attendance - 872. Cowden - Davie Hay, Mark Baxter, Laurie Ellis, David Hannah, Dougie Hill, Gary Fusco, Pat Scullion, Matthew Docherty (Scott Dallziell 45), Liam Buchanan (Craig Smart 89), Pat Clarke, Graham Guy (Martin McBride 67).. Subs not used: Kyle Allison and Martyn Fotheringham. Yellow cards - Baxter, Hill, Scullion Attendance - 2249. Cowden - Davie Hay, Mark Baxter, Laurie Ellis, David Hannah, David Armstrong, Dougie Hill, Murray Davidson (Stephen Husband 79), Pat Scullion (Martyn Fotheringham 66), Scott Dalziel, Liam Buchanan, Martin McBride. Subs not used: Kyle Allison, Iain Ramsay and Tony Bryan. Yellow cards - Scullion, McBride. Attendance - 331. Cowden - Davie Hay, Mark Baxter, Laurie Ellis, David Hannah, David Armstrong, Dougie Hill, Murray Davidson (Martyn Fotheringham 60), Pat Scullion, Scott Dalziel (Pat Clarke 45), Liam Buchanan (Steven Weir 87), Martin McBride. Subs not used: Kyle Allison, Iain Ramsay. Yellow cards - Scullion, Buchanan. Attendance - 548. Cowden - Davie Hay, Mark Baxter, Laurie Ellis (Scott Dalziel 75), David Armstrong (Tony Bryan 60), Dougie Hill, Garry Kenneth, Danny Lennon (Martin McBride 75), Pat Scullion, Pat Clarke, Liam Buchanan, Martyn Fotheringham. Subs not used: Kyle Allison and Steven Weir. Yellow cards - Armstrong, Fotheringham. Attendance - 2700. Cowden - David Hay (Andy Carlin 66), David Wilson, Kevin McBride, Dougie Hill, John Ward, Innes Ritchie, John Allison (Darren Gribben 60), Darren McGregor, Liam Buchanan, Robert Downs (Ryan McCallum 88), Gary Fusco. Subs not used - Stuart Baird and Mark McEwen. Yellow card - Liam Buchanan. Attendance - 1541. Cowden - David Hay, David Wilson (Dougie Hill 76), Kevin McBride, John Ward, Marc Millar (John Allison 85), Darren McGregor, Trialist, Gary Fusco, Robert Downs (Liam Buchanan 86), Darren Gribben, Iain Mauchlen. Subs not used - Andy Carlin and Ryan McCallum. Yellow card - Iain Mauchlen. Attendance - 263. Cowden - David Hay, Graham Guy, Kevin McBride, John Ward, Darren McGregor, Stuart Baird, Iain Mauchlen, Gary Fusco (Marc Millar 73), Robert Downs (Liam Buchanan 50), Darren Gribben (Dougie Hill 73), Martin Grant. Subs not used - Andy Carlin and John Allison. Yellow cards - Darren McGregor, Stuart Baird, Darren Gribben. Red card - Darren McGregor. Attendance - 280. Cowden - David Hay, Graham Guy, Kevin McBride, John Ward, Dougie Hill, Innes Ritchie, Iain Mauchlen, Markus Paatelainen, Robert Downs (Ryan McCallum 30), Marc Millar (John Allison 80), Liam Buchanan. Subs not used - Andy Carlin, Stuart Baird and Martin Grant. Yellow cards - Iain Mauchlen, Dougie Hill and Graham Guy. Attendance - 402. Cowden - David Hay, Graham Guy, Kevin McBride, John Ward, Innes Ritchie, Dougie Hill (Darren McGregor 75), Iain Mauchlen, Markus Paatelainen, Robert Downs (Darren Gribben 65), Marc Millar (Ryan McCallum 78), Liam Buchanan. Subs not used - Andy Carlin and Gary Fusco. Yellow card - Dougie Hill. Attendance - 629. Cowdenbeath - Davie Hay, Mark Baxter, Kevin McBride, John Ward, Innes Ritchie, Graham Guy, Marc Millar, Markus Paatelainen, Ryan McCallum, Andy Jackson, Liam Buchanan. Subs not used - Andy Carlin, Dougie Hill, Darren McGregor, Gary Fusco, David Wilson. Yellow card - Innes Ritchie. Attendance - 206. Cowdenbeath - Davie Hay, Mark Baxter, Kevin McBride, John Ward, Innes Ritchie, Graham Guy, Marc Millar, Markus Paatelainen, Ryan McCallum (Gary Fusco 85), Andy Jackson (Robert Downs 60), Liam Buchanan. Subs not used - Andy Carlin, Dougie Hill, David Wilson. Yellow cards - Marc Millar and Liam Buchanan. Attendance - 423. Cowdenbeath - Davie Hay, Mark Baxter, Kevin McBride (Dougie Hill 85), John Ward, Innes Ritchie, Graham Guy, Gary Fusco, Markus Paatelainen, Ryan McCallum, Andy Jackson, Liam Buchanan (Robert Downs 30) Subs not used - Andy Carlin, Darren McGregor, Davie Wilson. Yellow card - Gary Fusco. Attendance - 338. Cowdenbeath - Davie Hay, Mark Baxter, Kevin McBride, John Ward, Innes Ritchie, Graham Guy (Marc Millar 71), Gary Fusco, Andy Jackson, Robert Downs, Markus Paatelainen, Ryan McCallum. Subs not used - Andy Carlin, Darren McGregor, Davie Wilson, Dougie Hill. Attendance - 322. Cowdenbeath - Davie Hay, Mark Baxter, Kevin McBride, John Ward, Innes Ritchie, Gary Fusco, Marc Millar, Markus Paatelainen, Ryan McCallum, Andy Jackson, Davie Wilson (Dougie Hill 80). Subs not used - Andy Carlin, Darren McGregor, Lukas Krobot and Grraham Guy. Attendance - 715. Cowdenbeath - Davie Hay, Mark Baxter, Kevin McBride, John Ward, Innes Ritchie, Darren McGregor (Dougie Hill 75), Marc Millar, Graham Guy, Ryan McCallum, Liam Buchanan, Iain Mauchlen. Subs not used - Andy Carlin, Gary Fusco, David Wilson and Lukas Krobot. Yellow card - Mark Baxter. Attendance - 598. Cowden: David Hay, Mark Baxter, Dougie Hill, John Ward, Innes Ritchie, Pat Scullion, Marc Millar, Markus Paatelainen, Ryan McCallum, Mikko Paatelainen, Iain Mauchlen. Subs not used – Andy Carlin, Gary Fusco, Lukas Krobot, Graham Guy, John Cusick. Yellow cards - John Ward and Innes Ritchie. Attendance - 876. Cowdenbeath - Davie Hay, Mark Baxter (Gary Fusco 43), Dougie Hill, John Ward, Innes Ritchie, Darren McGregor, Marc Millar, Markus Paatelainen, Mikko Paatelainen, David McKenna, Pat Scullion (Liam Buchanan 79). Subs not used - John Gilbertson, Kevin McBride and John Cusick. Yellow cards - Innes Ritchie. Attendance - 433. Cowdenbeath - Davie Hay, Mark Baxter, Kevin McBride, John Ward, Dougie Hill, Darren McGregor, Marc Millar, Markus Paatelainen, Mikko Paatelainen (Liam Buchanan 80), David McKenna (Iain Mauchlen 71), Pat Scullion (Gary Fusco 75) Subs not used - John Gilbertson and Lukas Krobot. Red card - Darren McGregor. Attendance - 315. Cowdenbeath - David Hay, Mark Baxter, Kevin McBride, John Ward, Dougie Hill, Pat Scullion (Iain Mauchlen 73), Marc Millar, Marcus Paatelainen, Mikko Paatelainen, David McKenna (Paul McBride 78), Liam Buchanan. Subs not used – John Gilbertson, Gary Fusco and Lukas Krobot. Yellow cards - Dougie Hill, Markus Paatelainen. Red cards - Mark Baxter and Iain Mauchlen. Attendance - 583. Cowdenbeath - David Hay, Darren McGregor, Kevin McBride, John Ward, Dougie Hill, Gary Fusco, Pat Scullion (Lukas Krobot 86), Markus Paatelainen, Mikko Paatelainen, Liam Buchanan, Stuart Boyd (Darran Thomson 45). Subs not used – John Gilbertson, Marc Millar and David McKenna. Red card - Darren McGregor. Attendance - 482. Sat Feb 11 Albion Rov 1 Cowdenbeath 3 (Buchanan, Mikko Paatelainen, Guy). 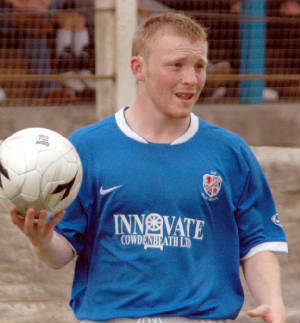 Cowdenbeath - David Hay, Graham Guy, Kevin McBride, John Ward, Dougie Hill, Gary Fusco, Marc Millar, (Lukas Krobot 81), Markus Paatelainen, Mikko Paatelainen, David McKenna, Liam Buchanan (Darran Thomson 85). Subs not used – John Gilbertson, Innes Ritchie and Pat Scullion. Attendance - 313. Sat Feb 25 Elgin 0 Cowdenbeath 4 (Mikko Paatellainen 2, Ritchie, McKenna). Cowdenbeath - David Hay, Mark Baxter (Graham Guy 28), Kevin McBride, John Ward, Innes Ritchie, Gary Fusco, Marc Millar (Lukas Krobot 45), Darran Thomson, Mikko Paatelainen, David McKenna, Liam Buchanan (Armand One 62). Subs not used – John Gilbertson and Dougie Hill. Yellow cards - Graham Guy and John Ward. Attendance - 403. Cowdenbeath - David Hay, Graham Guy, Kevin McBride, John Ward, Dougie Hill, Gary Fusco, Iain Mauchlen (Pat Scullion 85), Darran Thomson (Mark Baxter 65), Armand One (Paul McBride 78), David McKenna, Liam Buchanan. Subs not used – John Gilbertson and Lukas Krobot. Attendance - 259. Cowdenbeath - David Hay, Graham Guy (Darren McGregor 76), Kevin McBride, John Ward, Dougie Hill, Gary Fusco, Iain Mauchlen, Mark Baxter, Armand One, David McKenna, Liam Buchanan. Subs not used – John Gilbertson, Lukas Krobot, Pat Scullion and Paul McBride. Yellow cards - Ward, McKenna. Attendance - 783. Cowdenbeath - Andy Carlin, Graham Guy, Kevin McBride, John Ward, Dougie Hill, Darren McGregor, Iain Mauchlen (Paul McBride 70), Mark Baxter, Armand Oné (Chris Hughes 88), David McKenna, Liam Buchanan. Subs not used - John Gilbertson, Pat Scullion and Darran Thomson. Attendance - 350. Cowdenbeath - Davie Hay, Graham Guy, Kevin McBride, John Ward (Darren McGregor 84), Dougie Hill, Gary Fusco, Mark Baxter, Pat Scullion, Armand Oné (Paul McBride 80), David McKenna, Liam Buchanan. Subs not used - John Gilbertson, Iain Mauchlen and Lukas Krobot. Attendance - 592. Sat Apr 22 Queens Park 2 Cowdenbeath 2 (Buchanan, Oné). Cowdenbeath - Davie Hay, Graham Guy, Kevin McBride, John Ward, Dougie Hill, Gary Fusco, Mark Baxter, Pat Scullion (Lukas Krobot 85), Armand Oné (Markus Paatelainen 77), David McKenna (Darren MccGregor 77), Liam Buchanan. Subs not used - John Gilbertson, and Paul McBride. Yellow cards - Hay, Guy. Red card - Ward. Attendance - 1247.